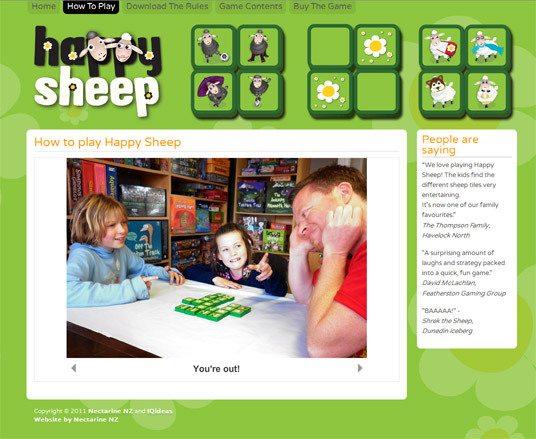 Happy Sheep is our fast, fun game of memory, deduction and bluffing for 2-4 players! The website features an animated “How to play” section to get you playing in 60 seconds, downloadable rules, game contents and more! Visit the Happy Sheep website.